Puddle Pump 50' Hose Attachment. 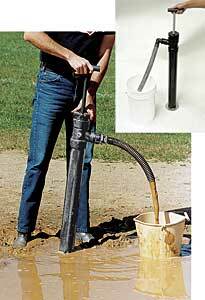 Pump puddles away at 18-20 gallons per minute with this amazing non-clogging hand pump. Needs 2" of water to be most efficient, but will draw water down to less than 1/2". 7 lbs.